For the past 45 years, Michael's career has evolved from woodworker, to furniture designer, to antique restorer. Starting in a one-car garage at 13, he began to teach himself the art of woodworking. At 23, he started a custom woodworking business, where he honed his skills to design, build, finish, and install fine furniture. After 20 successful years on Long Island, he moved upstate to Rhinebeck, and began to expand his skills and delve into the finer arts of antique restoration and studio furniture making. His experience as a furniture maker and designer make him quite unique as a restorer. He is competent to handle all phases of repair and restoration, and with his attention to detail, he is able to reproduce any piece of furniture in any style with great accuracy. He is frequently called upon by other restorers to work on major restoration, repair, custom, and modification projects. His interests in the arts make him a restless soul. As you can see in his studio furniture, Michael is a sculptor at heart. However, it does not stop there. He also has a great passion for oil painting. With time being limited, he manages to produce only a few paintings a year. 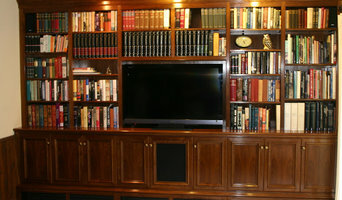 I am a furniture-cabinet maker who reside and work in New York City. I design and build custom contemporary furniture using a wide variety of domestic and imported hardwoods and veneers as well as some exotic materials such as parchment and shagreen. 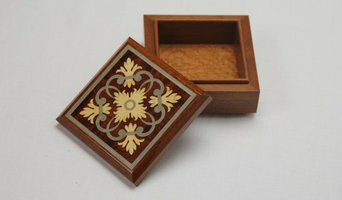 My specialty is Marquetry which I widely used in my projects in Europe. Most of the furniture that I have made in the last 20 years has been on commission bases but many pieces have been designed for myself. As a custom builder, I have complete control over all aspects of the projects I undertake, so this has allow me to produce a work of superior quality and provide my clients with a product we can both be proud of. Bespoke European full service workroom: drapery, furnishings, wall upholstery and pillows. We believe in the visceral and timeless elegance of masterful works of furnished art which is the best presentation of old world quality and inspired modernity. FROM THE FOUNDER, MAGDALENE... My late mother had the great privilege of being a "hand" in the prestigious Parisian atelier of Liza Schiaparelli in the late '40's till '51. Her "gift" to me was the most exacting training that one could ever wish for. I already had the passion and the imagination, and her hands taught me how to make the fabric come alive with the precision of the cut and stitching. Many years later I continued my training in ateliers in London and Paris prior to moving to the Middle East for 10 years. We opened our doors in New York in 1993 and to date, I can say unequivocally that the pleasure of watching beauty unfold is still very much there. I find that there is nothing more thrilling and exhilarating than accepting the challenge of the most difficult design that requires patience and coxing to produce the most beautiful of details and to give our clients that extra level of exquisiteness. We believe in the visceral and timeless elegance of masterful works of furnished art which is the best presentation of old world quality and inspired modernity. We look forward to speaking with you soon to discuss your projects. Please email us or call the workroom for an appointment. 177 Royal Avenue, Hawthorne, NJ Cupo Interiors Upholstery Services For over 20 years we have been serving designers, decorators, and the general public's upholstery, and custom furniture needs. 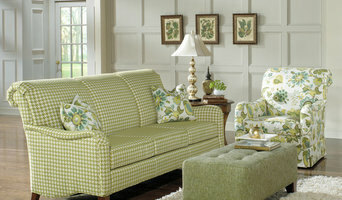 A mix of European craftsmanship and fine quality materials defines our "Artful Craft" of upholstery. We continuously strive to guarantee your complete satisfaction and are committed to providing you with high-quality workmanship with the utmost attention to detail. All work is done on premise, so you can track its progress if you wish to do so. I am a professional furniture refinisher who takes pride in his work. If I take on a project, I can guarantee you that I will provide a personal touch that will give you the results you are looking for at a price you will find very competitive. I am happy to provide free estimates if you send me pictures of your work, or in some cases (and depending upon your location), I can come in person. Apollonian House Upholstery is a privately located, family-owned business located in Southern, Connecticut. 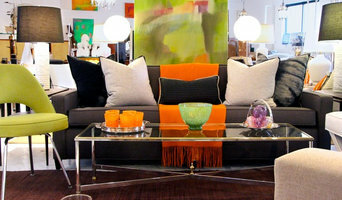 We are dedicated to providing high quality and professional upholstery, reupholstery, window treatments and custom made furniture services to all Connecticut and New York. We strive for excellence in every piece of work that we do, and personally work on each piece from the beginning to the end. We pay attention to every detail involved in all parts of the process, and offer personal and professional guarantee. For us, it is important that our client is 100% satisfied with our quality of work and service. 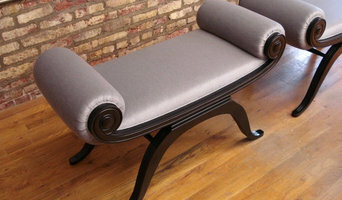 Finish Restore offers a complete on-site wood and leather furniture restoration and repair services. We come to your home or business anywhere in New Jersey, New York City or Connecticut metropolitan areas to fulfill your furniture needs. Magnolia Restoration provides high-end carpentry and upholstery service, custom designs, general fabrication and installation, indoor signage, custom canvas and upholtery for boats and houses indoor and outdoor with top quality materials.